Associates in Dermatology (Kissimmee) - Book Appointment Online! 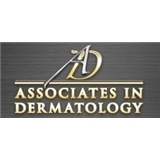 Associates in Dermatology's mission statement is "Dedicated, caring dermatology professionals with the skills, training and technology to provide you with the best medical care in Central Florida." Among Orlando dermatologists, Associates in Dermatology enjoys a stellar reputation with both patients and peers. With ten Central Florida locations, our clinics offer a full range of skincare services for both clinical and cosmetic dermatology. Our doctors, physician assistants, nurse practitioners and clinical aestheticians help patients overcome all sorts of skin-related conditions from an irritating but harmless rash to benign moles and malignant skin lesions. Doctors and staff seemed very kind and knowledgable. Came off a little busy but that didn't deter from the experience as a whole.